I’ve been using the Garmin Forerunner 35 for a couple weeks now and it’s quickly turned into my favorite GPS watch. 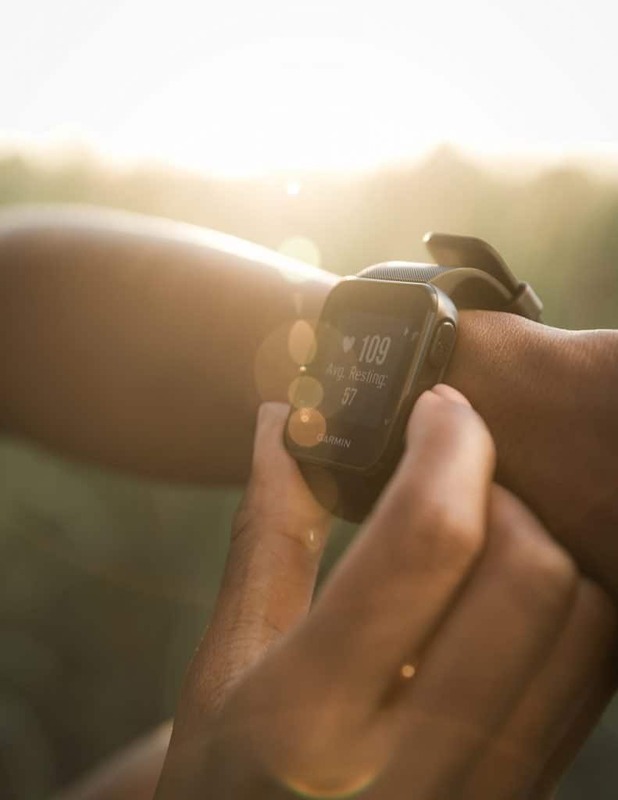 It combines a great mix of easy to use features with a wrist-based heart rate monitor in a price-friendly package – in fact, it’s one of our best budget GPS watches this year. And it’s one of Garmin’s lightest and thinnest GPS watches. But even though I like it, it may not be right for you. Let’s jump in to the Forerunner 35 review and find out…. 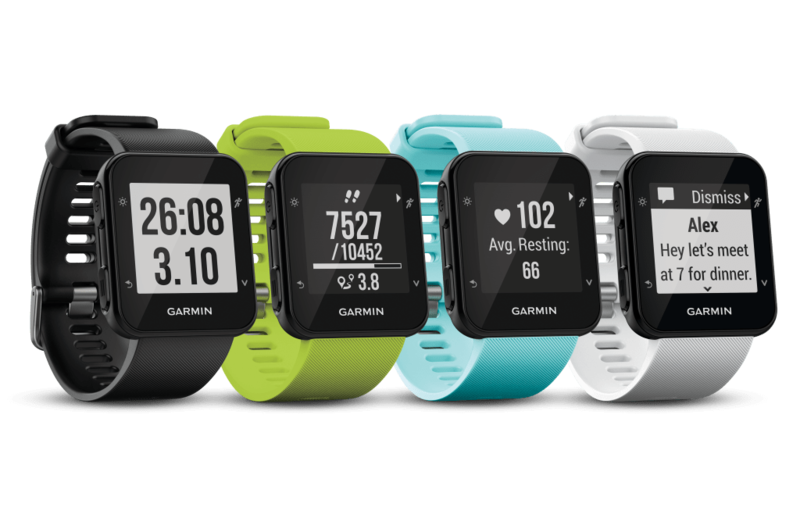 The Forerunner 35 is the next generation in Garmin’s line of budget GPS watches. It’s very similar to Garmin’s base model, the Forerunner 25 – the big exception being the wrist heart rate monitor on the Forerunner 35. 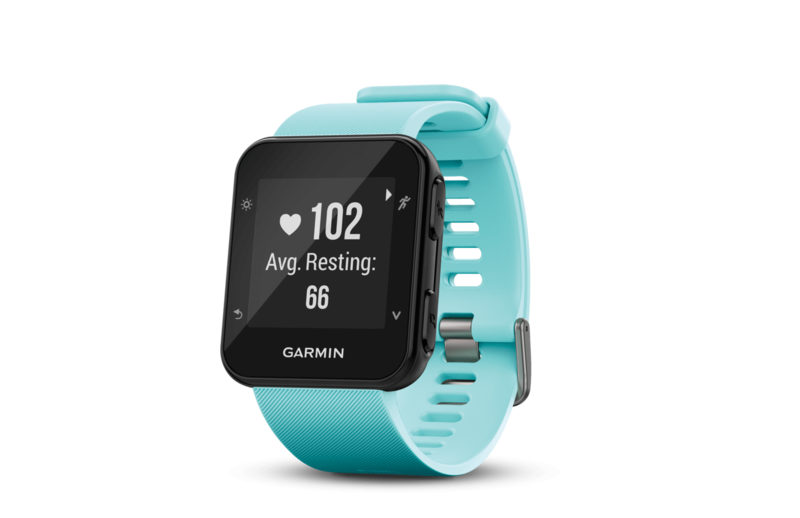 At $200 the Forerunner 35 is fairly pricey for a basic GPS watch, but compared to Garmin’s other wrist heart rate monitor watches – the Vivoactive HR, Forerunner 235 ($250) and 735XT ($350) – it’s still Garmin’s least expensive option. The Forerunner 35 is a tad smaller than the Forerunner 25 and sports a cleaner design and display. With a rectangular shape and thin bezel, it’s reminiscent of the Apple Watch. It’s also quite a bit smaller than the Forerunner 235 and 735XT, making it a more comfortable fit for people with thin wrists. The battery will last about 13 hours in GPS mode and 9 days in everyday use. This is a nice 30% battery life increase over the Forerunner 25 in GPS mode. You do, however, lose battery life in everyday use mode, mainly because the optical heart rate monitor requires more power. This is the likely reason to choose the Forerunner 35 over the 25. 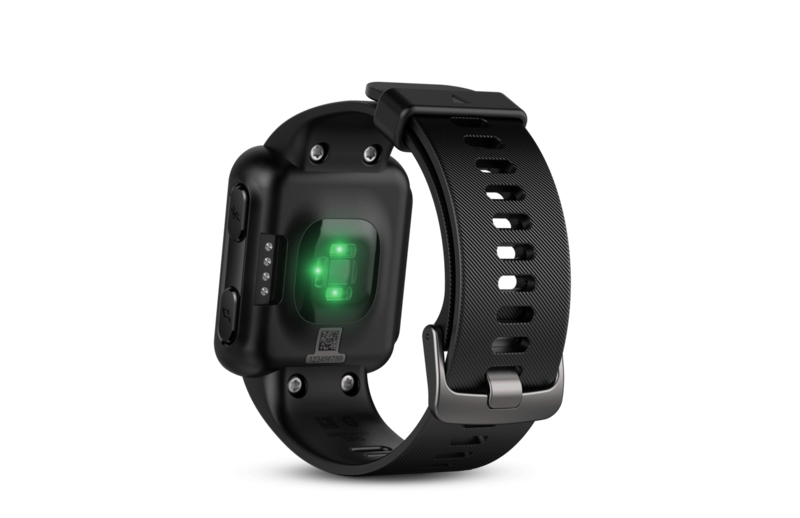 The Forerunner 35 is Garmin’s first budget GPS watch to feature a wrist-based heart rate monitor. But that adds an extra $60 to the price. And like all of the wrist heart rate monitors, accuracy isn’t as good as a chest strap. It will, however, provide accurate enough data to gauge intensity – and ultimately this is one of the main reasons for tracking heart rate. Beyond the optical heart rate monitor, the Forerunner 35 has a few feature upgrades over the Forerunner 25. Vibration alerts. These tie in nicely with smartphone notifications. When you receive a text, email, or other alert on your phone, you’ll receive a vibration notification and alert details on the watch. Similarly, other notifications like auto-lap and time/distance alerts also vibrate. Music control. This is a fun little feature. If you listen to music while you run, you can control the music (Next, Previous, Play/Pause) with the Forerunner 35. Interval training. This lets you set-up intervals directly on the watch. Usually, this is found on Garmin’s higher priced watches. I’ve always been a fan of this feature – it allows you to do distance intervals off the track. We chose the Forerunner 25 as one of our best budget GPS watches for 2016. 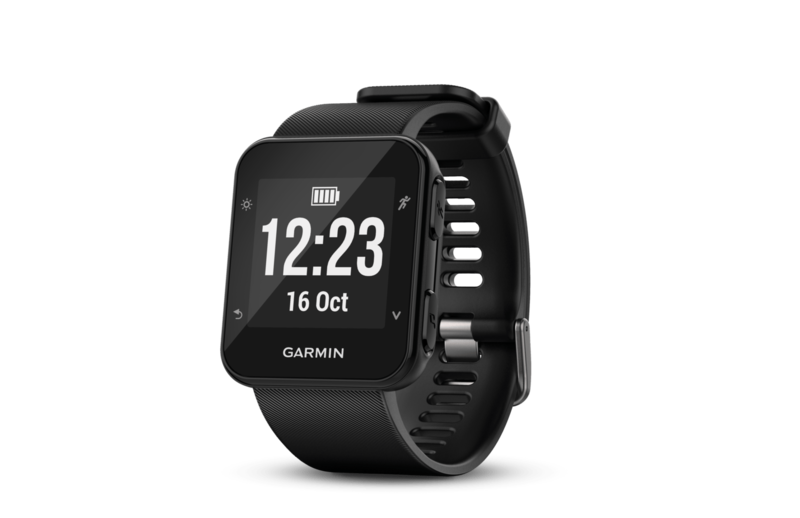 Mainly because in addition to the standard time, speed, and distance common on all GPS watches, it carries some nice extra features which Garmin has included on the Forerunner 35. Smart notifications. When paired with a smartphone, notifications and alerts that normally appear on your phone, also appear on the Forerunner 35. At first, I kind of laughed this one off. But after several runs, I found it’s an easy way to separate the important alerts from the nice-to-know notifications. So if I get an urgent text, I’ll stop, pull out my phone, and answer it. If it’s something that can wait, I’ll leave my phone where it is and keep running. It’s especially nice if you’re like me and keep your phone tucked away in a less-than-convenient spot to take in and out. Activity Tracker. The other feature that took me a while to get behind is the activity tracker. Like a Fitbit, the Forerunner 35 counts steps, tracks sleep, sets daily step goals, and syncs all this data on your smartphone. And while I run a lot, I still find it’s nice to know how much I’m moving when not running. Some research even suggests that moving frequently throughout the day, even for short bursts, is needed to compliment other, more intense activities. With the Move Reminders built into the watch, I know when I’ve been stagnant too long and need to stretch my legs. Plus, it’s a convenient excuse to get up and take a break! Auto-lap and Auto-pause. While running, the Forerunner 35 automatically records laps, will auto-pause when you stop, and can be programmed with time and distance alerts letting you know when you’ve hit a certain mileage or time. The Forerunner 35 has a couple other neat tricks. It can track time, speed, and distance when you’re indoors on a treadmill. This method relies on arm swing to determine cadence – i.e. it’s not super accurate but can give you general estimates. It also remembers personal records like your best 5k, 10k, and other common race distances. Finally, it comes with a virtual pacer that will alert you when you’re going way faster or slower than a set pace. This might be ok if you live in a flat area. I’m surrounded by big hills where my pace fluctuates a lot, so I rarely use this feature. You can track and view runs and activities two ways. Either sync them to a smartphone with the Garmin Connect app. Or upload them with the included USB cable to your computer. Both methods track activities on Garmin Connect where you can see some data not found on the watch like a route map, elevation profile, and lap splits. The Forerunner 35 is a great watch if you want wrist heart rate combined with a simple, basic GPS watch. The extra features are nice add-ons – but they can be completely disregarded if you’re only interested in heart rate and a GPS watch. I would definitely recommend this watch. It’s stylish, works well, and has good battery life. 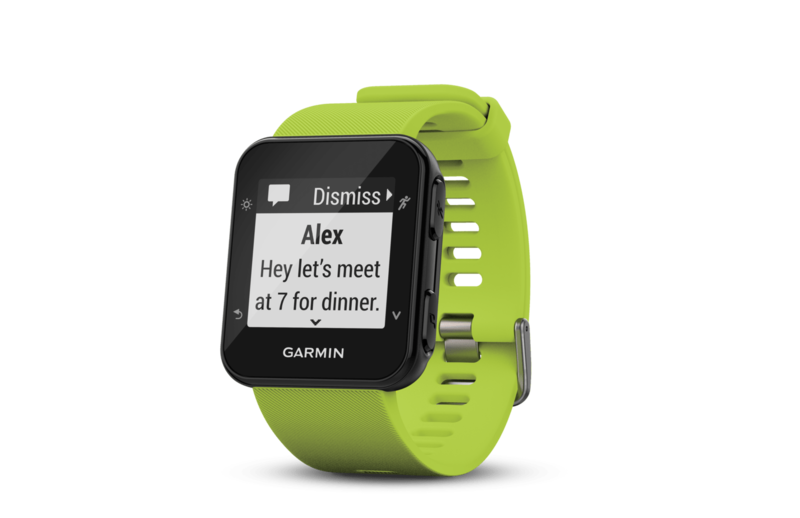 Runners who want a basic GPS watch with a wrist heart rate monitor. Also, runners who want an everyday watch without the bells, whistles, and complications found on costlier models. Sure, it’ll work tracking the basics. Not much else although it’s compatible with a bike speed and cadence sensor. It’s waterproof to 50 meters and can handle some swimming. GPS won’t work but it can be used as a timer.